It’s time to celebrate all-things bicycling! Join us for dozens of events statewide to celebrate all Wisconsin cyclists. From family fun rides to commuter stations, and baseball games to overnight camping trips, there is something for everyone during Wiscosin Bike Week. Let’s have some fun and enjoy all the reasons we ride! 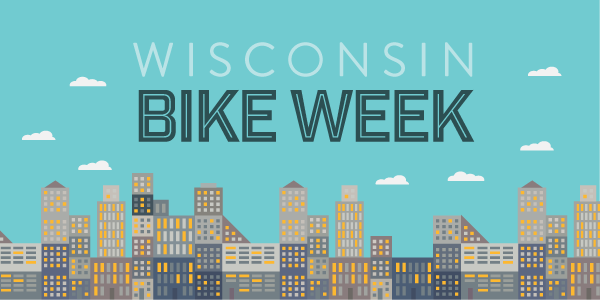 Bike Weeks events are taking place all over the state in Madison, Milwaukee, Eau Claire, and La Crosse. For a full list of bike week events, click here.